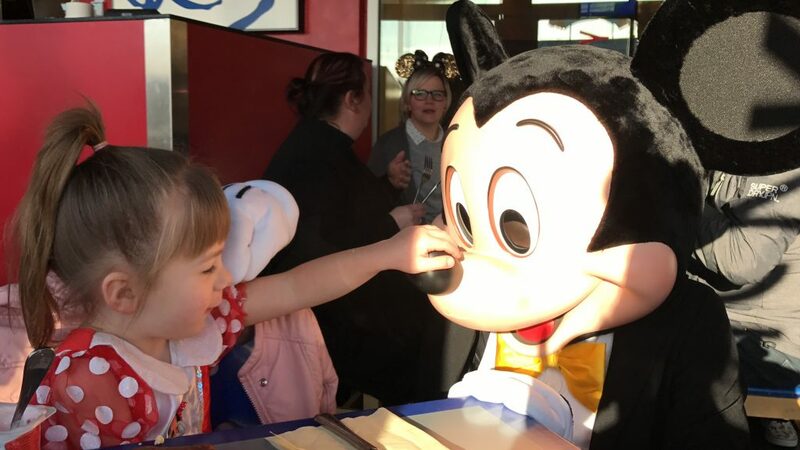 A Perfect day at Disney – The Launch! If you haven’t already guessed, I love Disney. If I’m not visiting it, i’m scrolling through instagram feeds, watching vlogs, dreaming about my next trip or ringing my sister and telling her all about it! Something I love about day-dream Disney trips is, it really tells you so much about the person. 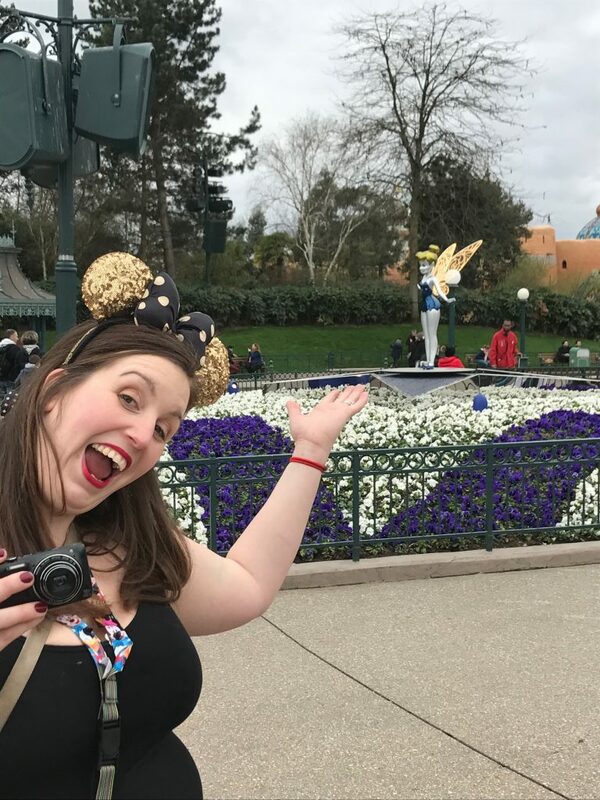 So I decided to start a new series, ‘A perfect day at Disney’ where I each blogger/vlogger/Disney Lover answers a set of questions about their perfect Disney day. I have to be honest, I have a few sitting in my inbox and I may have cried ‘a few’ times! 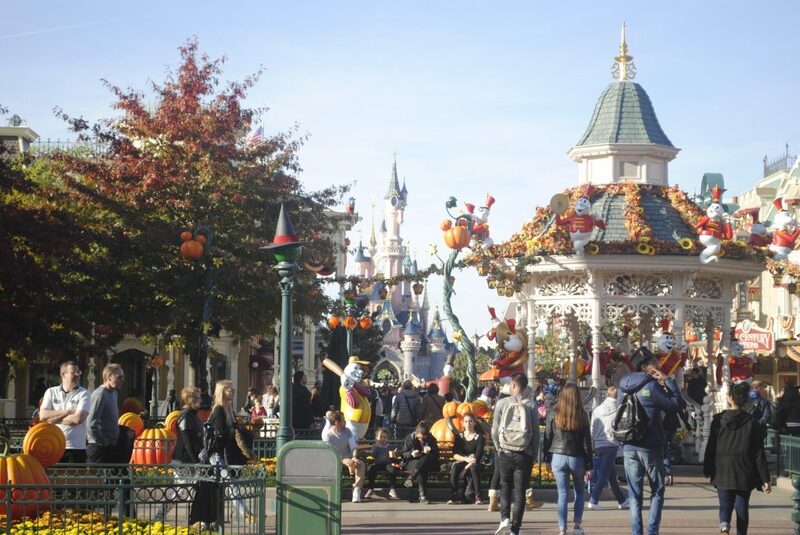 So without further chat, I will kick start the series with my perfect day at Disneyland Paris (my Walt Disney World one will be coming soon!) I hope you enjoy reading it as much as I did writing it. It’s 6:30am and I’ve just had a wake up call from the main man himself, Mickey Mouse! I get up, open the curtains and see the most amazing view of the park! I’m of course in the Disneyland Hotel with a park view room. I smile, I can’t believe I’m finally getting to stay in this hotel, I take a quick 70 snaps and turn around to wake up the rest of my family, excited for the day to begin. I’m with my two daughter Kairi (5) and Naminé (4) and my husband Ryan. I am a planner, but I am happy to change things if needs be. I like to have meals and shows planned so we don’t miss things, but everything else is do what you like. We are off for our traditional character breakfast. We are hoping to get some new characters this time as we’ve seen some great pics recently in my Disneyland Paris Group. The breakfast consists of hot and cold food, which means there is something perfect for all of us. The girls eat plenty and we get some amazing snaps and great memories. We are off to the Disneyland Park first, as we’ve just been to Café Mickey we will take a walk through the village and vlog along the way. I love to keep these video memories of our trips. Most of the shops are closed, but we do grab an Earl of Sandwich brownie on the way. Cry! Seriously though, we stand at the bottom of Main Street and take in the sights, grab a map and then work out where to head first. As we have already met characters this morning and made Extra Magic Hours, we make the most of the time and head straight towards the castle, we grab some icon shots while no-one is in the background and then we head to Discovery Land and take a ride on Buzz Lightyear. We then start working our way around the park, going on as many rides as possible including the Teacups, It’s a Small World and Big Thunder Mountain. To make the most of our time in the park, we head to Casey’s Corner just after the lunch hour rush to grab a hot dog. This means we can eat dinner slightly later this evening. After lunch we head for Phantom Manor. We catch a show and then head straight over to see the Parade. We’ve timed it well so manage to get a great spot for both seeing the parade and those epic Insta Posts. While in the sweet shop I try a marshmallow Mickey Head for the first time and pick up some new cooking aprons. Discovery Land and Main Street. Both look beautiful lit up. Though I really like to try and walk around to get as many photos as possible. The park is so different in the dark and I’ve still not managed to grab the iconic Teacups shot yet! We head to Blue Lagoon (Captain Jacks) for dinner. We manage to get a table right by the river. I love to watch the boats go by. I order the best ginger ‘bread’ I’ve ever had for pudding and try my husbands dinner too. Once we are out, some areas of the park are closed so we get to do the ‘special walk’. I grab some great shots of the back of the park all lit up and empty, it’s beautiful. 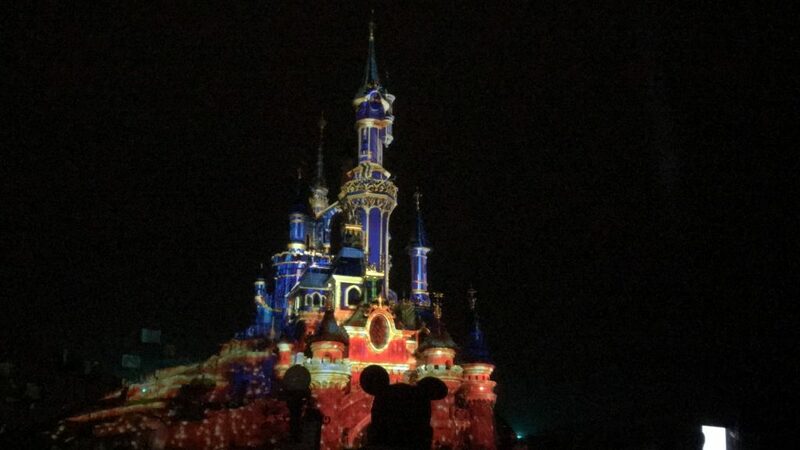 We then head around to the castle and catch the fireworks, I shed a few more tears and hold my family close. The fireworks end and we dawdle through the shops looking at what to buy and generally waiting for the park to empty out a bit to get ‘that’ picture. Once we’ve left the park we don’t have far to go to the hotel, so we grab a drink before heading up to bed. Aprons, as many treats as I could try and a cuddly for each of the girls and some new glasses which I sent back to the hotel using the shopping service. I give the girls a kiss and a cuddle, thank my husband for a wonderful day. Charge all my batteries and start dreaming of our day in the Walt Disney Studios tomorrow. The perfect start to a perfect adventure. 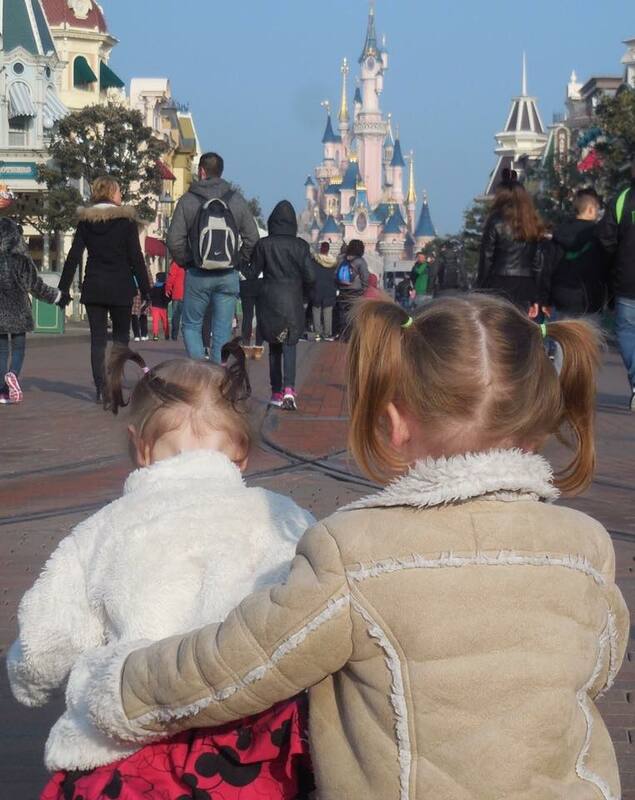 Hi I’m Jade and I write this blog (Mummies Waiting) where I help parents plan stress-free Disneyland Paris holidays to make magical memories that last a lifetime. 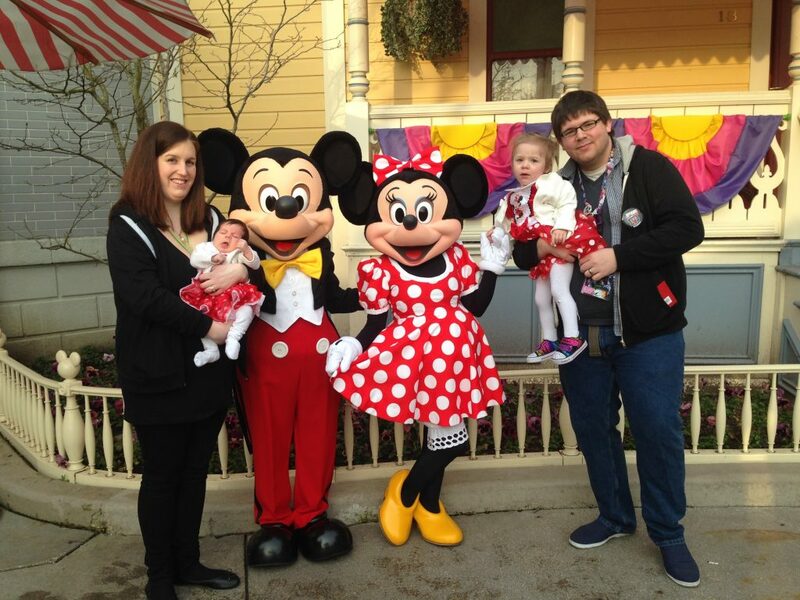 I’ve been fortunate enough to go to Disney many times and first took my girls when they were both 23 months old and 6 weeks old. I couldn’t find the information I needed to know before my trip so decided to share with others once I was home.